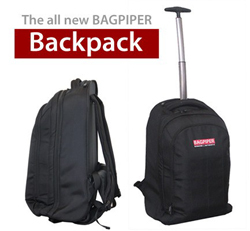 The Bagpiper Backpack also includes a Trolley and is the perfect size for carrying your pipes onboard budget airlines or a quick and easy case between gigs. It features special pockets for the top sections of your drones, a special iPad/ Digital tablet sleeve, room for music books and additional pockets for all your piping accessories. The main pocket opens wide to store your pipes, while the smaller pocket also has additional sleeves for passports, tickets etc. 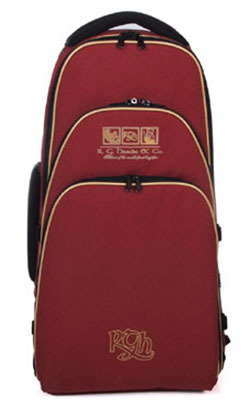 Both the trolley handle and backpack straps can be stored away making the case look super smart and easy to store. Original design especially for the Piper who looks after their pipes! The Bagpiper Case offers multiple carrying positions, loads of storage and looks stylish. The material we use to make the Bagpiper Case is sturdy, compact and ultra convenient, providing safe storage for your pipes. 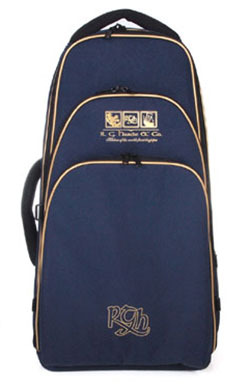 With multiple shoulder strap configurations it can be worn as a backpack, overshoulder or with conventional handle. The Bagpiper Case is for the all purpose piper and we've even included little things like a Pipe Chanter Protector. The Bagpiper Case is made of a strong nylon exterior, padded foam walls with plush velvet lining. It's extremely lightweight with strong lockable zips. Its subtle design features re-enforce its strength and versatility highlighting some clever engineering. 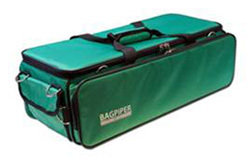 When you're carrying a Bagpiper Case, your pipes are in good care. Interior: 600mm/23.5" x 210mm/ 8.25" x 180mm/ 7"
Exterior: 650mm/ 25.5"x 260mm/10.25" x 210mm/8.25"
The R.G. Hardie deluxe pipe chanter case provides protection for storing a pipe chanter which is essential for blackwood pipe chanters. Features include a padded interior, two elastic straps to hold the chanter in position and button closures. Please note this case will not accept a chanter with a sole. The new Kilter Ultimate Bagpipe Case. The R.G. 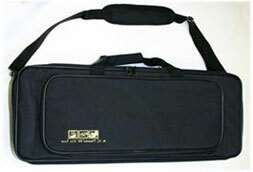 Hardie Piper Case is a padded lightweight bagpipe case ideal for transporting and storing bagpipes. The Piper Case will accommodate all types of pipe bags and canister systems. The Piper Case is suitable for international travelling as hand/cabin luggage but check with the airline as each have their own regulations. 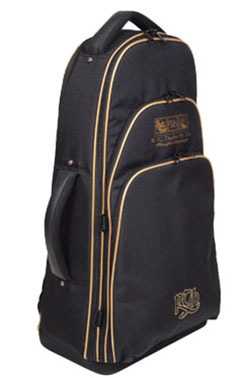 Features: Adjustable shoulder strap with heavy duty fixings, Adjustable back pack straps, Extra strong zips on lid closure, 2 internal mesh pockets for storing accessories, 1 large external pocket for books, sheet music and accessories, 2 velcro straps to hold bagpipes in position while in transit.